ACE PIGEON NO. 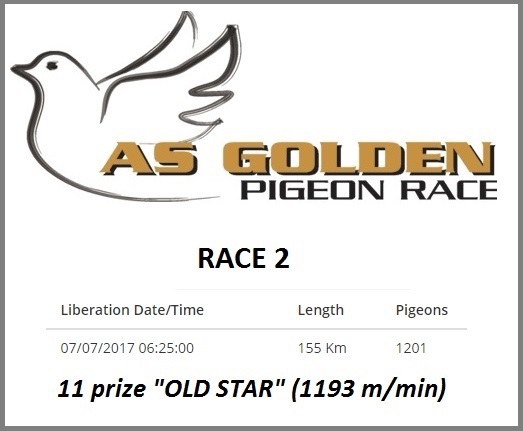 1 - AS GOLDEN RACE! «OLD STAR» delivered another good result with 11 prize of 1.201 pigeons in the AS Golden Race no. 2 (155km)! This result brings this nice youngster to a FIRST PLACE at the ACE Championship after two races. It is a long way to go, but with very good OLR blood lines, we hope the “OLD STAR” success will continue towards a possible final..